In March 2012 I underwent a bilateral knee replacement procedure that not only replaced my damaged and arthritic knees but corrected my severe knock-kneed condition. Recovery was going well until I developed a pulmonary embolism that nearly killed me. My becoming active again was a long struggle, delayed by the drug routine I was on and having to relearn how to walk. But I grew in strength and stamina gradually, and by July I was looking for places to walk and hike that would challenge me but not push me too far. I found one such occasion in Blobfest. The Blob is a 1958 science fiction and horror film about a Jello-like creature from outer space that terrorizes the small town of Downingtown, Pennsylvania. The movie was shot in Downingtown,Valley Forge, Phoenixville, Royerford, and surrounding towns on a shoestring budget, and the lead actor, an unknown named Steve McQueen, took the part for next to nothing because he needed rent money. The iconic scene in the film is when the creature invades Phoenixville’s Colonial Theater and the audience runs out screaming. Move forward 40 years and Phoenixville is a dead town. The steel plant closed, half the businesses on Bridge Street are gone, and the Colonial is shuttered. A group of civic leaders and businessfolk come up with a plan to revitalize the downtown, and restoring the 95 year old Colonial is at the heart of it. 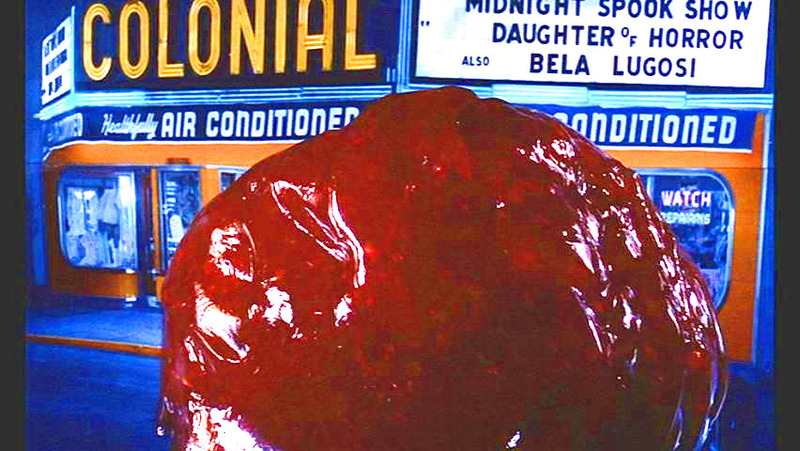 And to celebrate Phoenixville’s greatest moment in film history, the idea of Blobfest was created…. a dozen years later the Colonial is restored to its 50s movie palace looks and is an active theater and performing arts space, the downtown is filled with local businesses, and Philadelphia magazine declared the town one of the ten “most awesome places to live” in the region. Blobfest manages to be as campy an event as The Blob was cinema. Between recreating the scene of the screaming mass of people running in horror from the Colonial to a parade with fire extinguishers, the theme was the Blob and its era. 50’s music plays, period cars are on display, the Colonial shows science fiction and horror films of the era…. the Blob himself even makes an appearance – the prop monster from the film lives in a trash can in collector Wes Shank’s basement, and emerges for Blobfest and other public appearances. Shops were open, including a bizarre antique shop/flea market. I found this woman adorable. How much to take her home? From the end of lunch before one to my return to my car at three I walked and stood and negotiated curbs and unlevel pavement (Phoenixville is built into a hillside.) I was sore and stiff by the end of it. And I paid for it the next day in swelling. stiffness, and fatigue. However, its probably the first time I’d stood two hours without a break since 2010. I gave up hiking in 2011. Now it was back in my life. No wonder I look content….